Where and when did that Beagle experiment occur please? How difficult is it to reach the Pu filter within the spent fuel facility? This document needs to be updated with current data. Really, Tom, what a lame excuse for not properly taking care of a public safety threat. It may be a backdoor way of getting a foot in the door of reprocessing, you say. Are you saying that you would just let the feds jump in and start reprocessing this dangerous waste if it was consolidated in a remote desolate area of this country?! Reprocessing will not happen in this country no matter where the waste is located and you know it! Why are you standing in the way of a perfectly sane way of dealing with the buildup of this waste around the country and especially near large metro areas. I guess your solution involves guess, hope, and wait for another half century for a permanent repository that will also probably never be built. I am for taking long overdue action to get this dangerous stuff out of our backyards! Why has the NRC allowed the industry to put the cart before the horse? The truth is we don’t know how well HB spent fuel will hold up long term. I was told at one NRC meeting, only 1 dry cask has ever been opened and examined since the industry started using dry casks and that was one with lower burn up fuel. I would like to see the NRC produce that document to prove even one has been open and examined. The breaks need to be applied to the nuclear industry. They shouldn’t be allowed to continue making more of this waste when they still don’t know how to manage what they’ve already produced. Plus there is no where to store it safely for thousands of years. Now the industry wants to push their “new and improved” reactors. Different reactor, but produces the same problematic waste. The potential need to store Spent Nuclear Fuel (SNF) for many decades will have a near-term and potentially significant impact on nuclear plant licensing and operations. While dry storage of lower burnup SNF [less than 45 gigawatt days per metric ton uranium (GWD / MTU)] has occurred since 1986, dry storage of high burnup SNF is more recent. Approximately 200 dry storage casks now have been loaded with at least some high burnup SNF, and almost all SNF being loaded in the U.S. is now high burnup. Industry needs additional data on high burnup SNF under typical storage conditions. In response to DOE R&D project initiation, the Electric Power Research Institute (EPRI, project lead) in concert with U.S. national laboratories are developing and implementing this test plan to collect data from an SNF dry storage system containing high burnup fuel. This Test Plan for the High Burnup Dry Storage Research Project (HDRP) outlines the data to be collected, the high burnup fuel to be included, and the storage system design, procedures, and licensing necessary for implementation. The Test Plan results are anticipated to provide confirmatory data to support license extensions of ISFSIs containing high burnup spent fuel and to evaluate the integrity of the dry storage systems. Planned models and tests are intended to supply a large amount of data relevant to the assessment of the safety of long-term storage followed by transportation. failed to solve the rad/waste problem means that we absolutely must stop producing this waste stream. Not only will it be dangerous for thousands of years, it is supremely irresponsible for our civilization to be leaving this kind of legacy for our descendants into the farthest future we can imagine. What gives us the right, because we wish to live elegantly and wastefully, to ruin the only planet that sustains life for everyone who comes after us? Our descendants will curse our memory. The design assumption has always been consistent with traditional planning and economics in capitalistic societies. 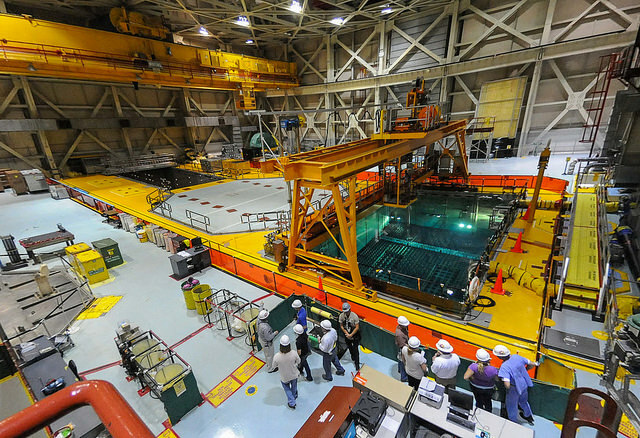 It assumes that skilled workers will be able to maintain the operations of the spent fuel pools and the cask storage for many decades after the fuel has been removed from the fission reactors. The planning fails to take into account the evidence of the vast majority of climatologist and evolutionary biologist that planet Earth is likely rapidly heading into sixth mass extinction event due to human impacts on this planet’s life support systems. Most of the planet’s 7.22+ billion people are living in a profound state of denial regarding the gravity of the data they are coming up with. The above report fails to explain the failures that would take place if skilled workers and power were not present to maintain the operation of these facilities. What is the ratio, energy supply needed to boil water vs energy used to cool spent fuel? AND once the water becomes radioactive, can the water ever return to its natural, normal state? #thinking #shutdowndiablocanyon because that’s just too scary to live with now, especially with new designs and a renewed commitment to industry stepping up safety first! Very fair, balanced, and informative article. Does not minimize the threat that this spent fuel poses. I would only add that this spent fuel needs to be moved from 93 sites around the country to a much safer area, like in the middle of a military reservation, until a permanent underground spent fuel repository is built. These 93 sites become even more tempting terrorist targets as this spent fuel piles up. And a lot of this spent fuel is stored near large metropolitan areas in this country. 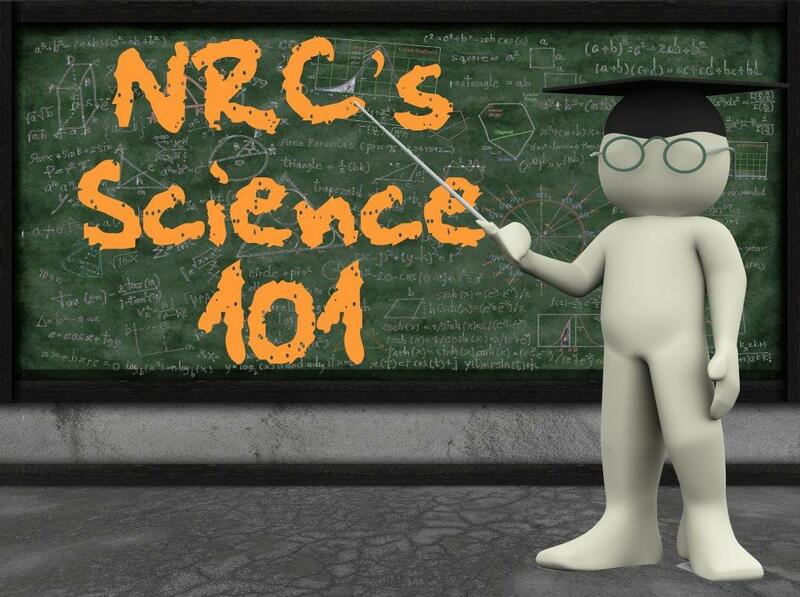 Previous Previous post: Science 101 – What is Nuclear Fuel?